We are One of the leading Manufacturer exporter of all types of Dyestuffs & Pigments since 1986 here in INDIA. our Dyestuffs used by diffrent Industry like textile Deying & Printings.We also have other dyestuffs for diffrent industry like Acid Dyes for leadther, Food colours for food industry and Pharma Industry etc. 1. Reactive Dyes :- all types(HE,ME,VS,Hot Brand,Cold Brand,MX Series,P series,Bifunction Etc.) for Dyeing and Printing. 2. Acid Dyes :- For dyeing of Leather,Wool or nylone & some for Ink. 3. Direct Dyes :- for Dyeing and ink. 4.Solvent Dyes :- for colour solvents,Greese, Oil etc & solvent base Ink. 5. Food Dyes :- for all Food industry, Confectionary & Pharmaceutical Industry. 6. Natural Food Colours :- For all Food industry, Confectionary & Pharmaceutical Industry. 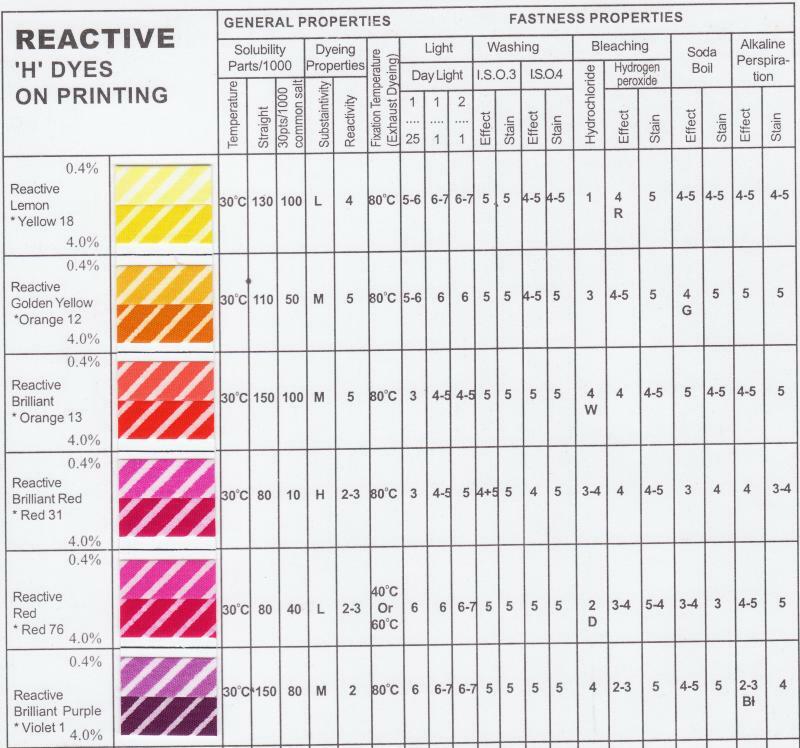 Reactive Dyes, Acid Dyes,Direct Dyes Etc. Our Dyetsuffs mainly used by Textile Industry(For Dyeing &Printing) ,Inc Indsustry,Leather Industy,Wool Industry,Pharmaceutical industry,Food industry etc.